Description: A colorful sunset video facing the entrance of Gulf of Gokova (Aegean Sea) with fiery clouds. Sun is shining between the clouds. 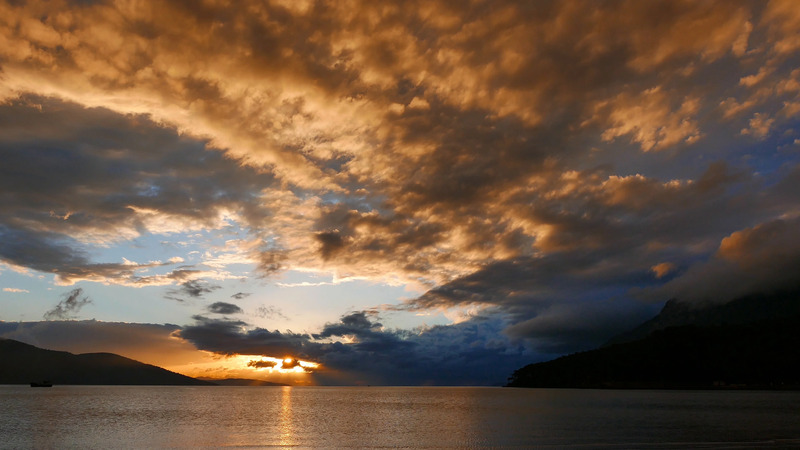 Shot from Akyaka beach in autumn.